Sometimes you like to know what the neighbor's house sold for because that could affect the value of your property. 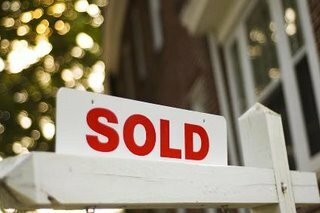 Sometimes you'd like to know what a property sold for previously before you make an offer on it. Sometimes you're just nosey and want to see what someone paid for their house. 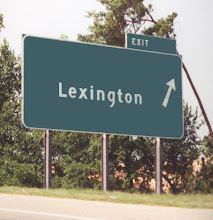 In any case, you'll be glad to know that JustLexington.com is now providing information on recent property sales in zip code 29072. My list of neighborhoods in zip code 29072 is getting closer and closer to the 200 mark. I think they exist, it's just a matter of getting them all accounted for. Ten neighborhoods were added to the list today taking the current total to 163. Corley Mill Road in Lexington goes from US 378 at I-20 to US 6 close to the Lake Murray Dam. This is a great road to drive with many overhanging trees, several elevation changes, and a few curves. Corley Mill Road is also the host of several neighborhoods including these which were added to the Neighborhoods list today: Corley Mill Estates, The Oaks, and Wood Mill. A few others in the area had neighborhood sign pictures added today: Hope Ferry Estates (off Hope Ferry Road), Royal Oaks (off River Chase Way), and The Courtyards at River Club. Check this out... 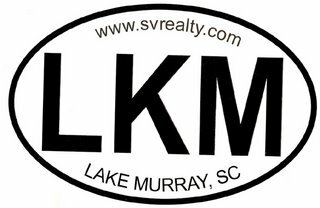 The good folks at Southern Visions Realty Inc. are giving away LKM bumper stickers for all of you Lake Murray fans. All you have to do is fill out this form to get one. Powell Drive in Lexington 29072 is the host of three neighborhoods: Garden Place, Palmetto Courtyards, and Cherry Ridge. Garden Place was added to the 29072 neighborhood list. Sign pictures of all three neighborhoods were added. A free poll hosted by PollDaddy.com was added to the site today. Check out the home page and answer the poll question! A few more neighborhoods were added to the list: Cobblestone Farms (with a neighborhood sign picture), Laurel Falls, Orchard Pointe, Scarborough Parish, and Southberry Park. A neighborhood sign picture was also added to Wiseferry Plantation. The neighborhoods list has now grown to 149 and of those, 65 are shown with their neighborhood sign picture.